Endowed with picturesque countryside, medieval villages, ancient castles and cathedrals; brimming with history and home to one of the world’s most beautiful cities, the Czech Republic is a European must-see. Explore the captivating Golden City of a Hundred Spires, Prague—without question one of Europe's most beautiful and cultured cities. See ancient chapels and historic palaces, wander cobblestoned backstreets and elegant plazas, and experience this magnificent city, alive with arts and history and rivaling Paris in its beauty. 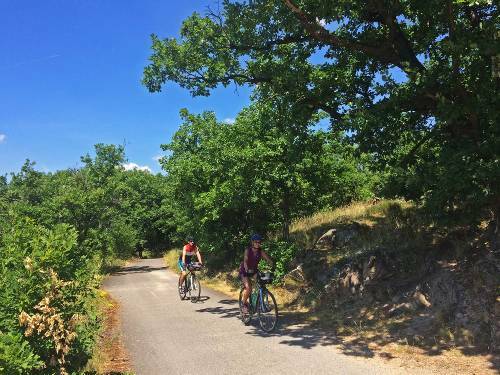 From there, head out of town to savour the delightful Czech countryside at handlebar level—cycle along an outstanding collection of scenic routes linking Prague with Vienna; and explore the historic castles, caves, quaint villages and spectacular landscapes of the Bohemia region. Pass through superb countryside and encounter hilltop castles, beautiful villages and spa towns as you follow the course of the Elbe River by bike and barge; enjoy colourful Gothic, Baroque and Renaissance architecture surrounded by wild natural scenery in Litomerice; and explore Cesky Krumlov, one of Europe's best-preserved medieval towns. Our unique guided and self-guided cycling adventures are tailored to get you deep into the heart of this stunning country, taking in its key highlights as well as experiencing the beauty of its lesser-visited trails. Have a browse and start planning your Czech adventure! Explore Prague, without doubt one of Europe's most beautiful cities. Cycle through delightful countryside to one of Europe's best preserved medieval towns. 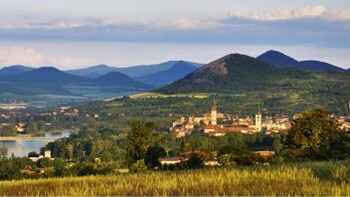 Castles, caves, historic sites and quaint villages will greet you a on ride through this superb landscape. 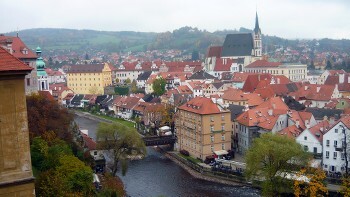 Cycle along an outstanding collection of cycling routes that link Prague with Vienna. Encounter hilltop castles, beautiful villages, spa towns and superb natural landscapes as you follow this river near Prague. Experience the colourful Gothic, Baroque and Renaissance styled town surrounded by wild natural scenery. Our active trips in the Czech Republic only include what you need like accommodation, meals, bikes on cycle trips, luggage transfers, maps and route directions on self guided trips and an experienced local guide for group trips, as well as the peace of mind that comes with complete backup and support. Often family run, these charming hotels range from 2 to 4 stars and provide access in local living thanks to your hosts. The hospitality is generous and their local knowledge is invaluable. Where possible, we choose locations that add to your experience. Electricity in the Czech Republic is 230 Volts, at 50 hertz. The most common pin type is C. (2 round prong).